“Of course we will continue the cooperation with our Ukrainian partners on all previously agreed directions and we will try to do everything to keep our promises to them,” the RIA Novosti news agency quoted Dmitry Medvedev as saying during Thursday's government session. “At the same time it is necessary for the partners themselves to maintain their tone and for the active authorities in Ukraine to be legitimate and effective, not a doormat for everyone to clean their feet,” Medvedev added. “The authorities must concentrate on the objective of protecting the people, protecting the law enforcers who protect the state interests and the people themselves. Only in this case we could further develop the full-pledged economic cooperation,” the Prime Minister noted. 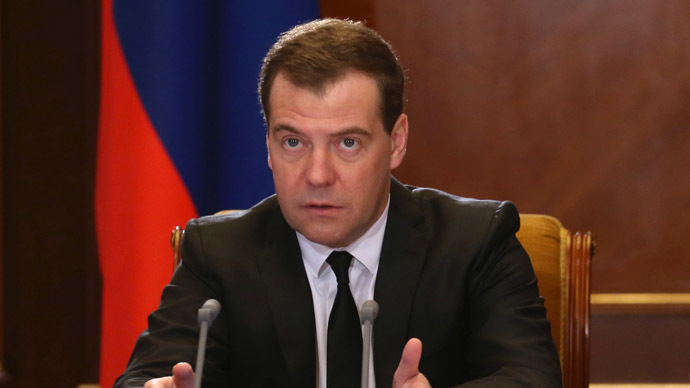 Medvedev also asked all government members to adjust their work in accordance with this position. 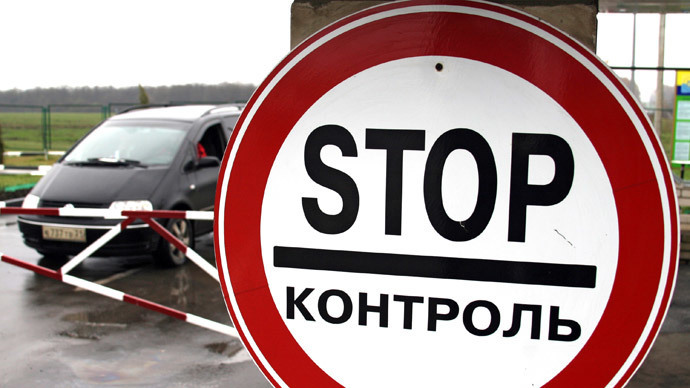 Also on Thursday Russia’s Deputy Foreign Minister Grigoriy Karasin, currently on a working visit to Kiev, told reporters that Russia will credit $2 billion to Ukraine without delay on previously agreed dates. The deputy head of the presidential administration and Vladimir Putin’s spokesman, Dmitry Peskov, also said that Russia was not scrapping the plans for financial aid to Ukraine, but added that the situation in the country must stabilize so that the payments could continue. In mid-December Putin and his Ukrainian counterpart Viktor Yanukovich agreed on a plan under which Russia is buying $15bn of Ukrainian debt in 2-year bonds and also giving Ukraine a $3.5 billion discount on natural gas purchases on behalf of state-owned Gazprom. Ukrainians will pay $268.5 per thousand cubic meters of natural gas instead of $400, a nearly 33 percent discount. In January Russia’s government plenipotentiary for relations with CIS countries promised Ukraine an additional $6 billion in credit for development of nuclear energy. 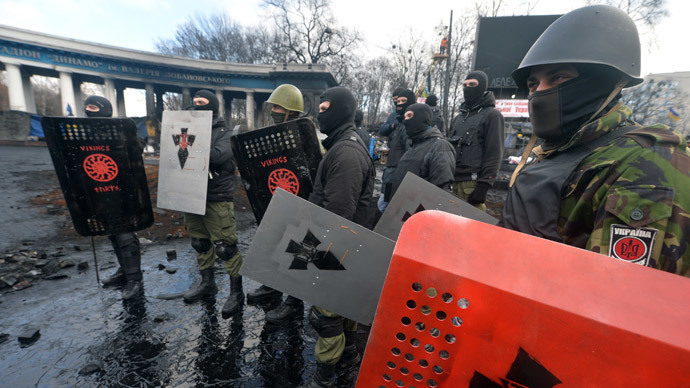 The current political crisis in Ukraine started last year after President Yanukovich decided not to sign an association agreement with the EU, opting instead to retain existing economic ties with the Russian Federation. 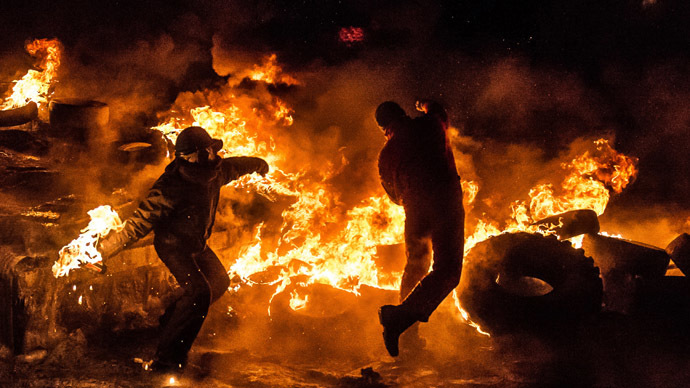 After many days of protests the authorities agreed to a truce and talks with the opposition, but radicals in Kiev and several other cities launched a wave of violence earlier this week, storming government offices, capturing military arsenals and opening fire on the police. 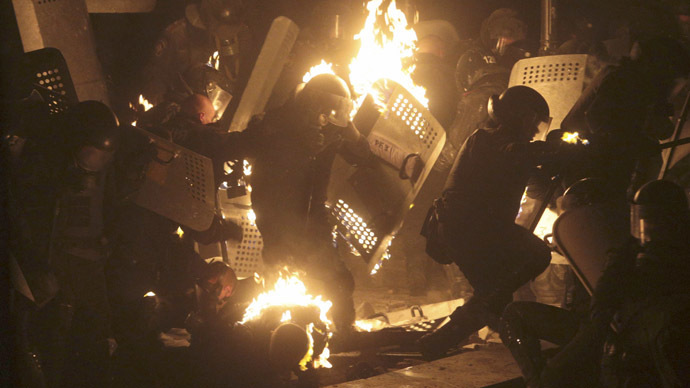 The standoff in Kiev has already claimed 35 lives and the death toll is climbing. Over 300 injured people are in hospital.